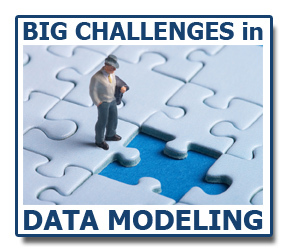 This month’s Big Challenges in Data Modeling webinar is Thursday at 2PM EDT. We’ll be talking about better collaboration with developers and the development process. Missy Wittmann is an Information Modeling Engineer Specialist at American Family Insurance. Missy has worked in the data modeling field for over fifteen years in various roles. She started out as a business partner on a project that did some data modeling and enjoyed the process so much that she changed career paths. Missy has facilitated projects for Business Modeling, Logical and Physical Data Modeling. Most recently she has been participating in projects that are creating XML Schema’s. Data Modeling is an exciting place to be in the world of technology. No matter what technology is being used to get the end result, we always need our blue-print! Joe Devon is the co-founder of Diamond Web Services, a boutique web development shop based in Venice Beach; Startup Devs, a “Prototypes as a Service” company building MVP’s for startups, and founding partner of Television Four, where he is building a technology channel. Joe has been a computer programmer for more than 20 years, working on projects spanning Search Engine technology, Performance Management, scaling Wide Area Networks; for Internet backbone providers, Investment Banks, Telcos & Media. Joe serves on the advisory boards of leading development industry conferences (Zendcon, Semtech) and for the educational program of Cross Campus. Joe is an organizer of several technology oriented meetup groups in Los Angeles and CoFounded Global Accessibility Awareness Day, bridging the gap between disabled citizens and the Internet. Gwen Thomas is a Data Governance pioneer, founder of the Data Governance Institute, and publisher of the web’s largest Data Governance resource at www.datagovernance.com. Gwen has personally assisted many large, mid-sized, and small organizations with their data strategies, data governance and stewardship programs, master data strategies, and other information practices. Gwen is a frequent presenter at industry data events and contributor to IT and business publications. I’m expecting a lot of good discussion and sharing of tips about how data models and data modelers can best work with developers during fast-paced, get-er-done projects. Registration is free, but you need to do that to get the information to join.